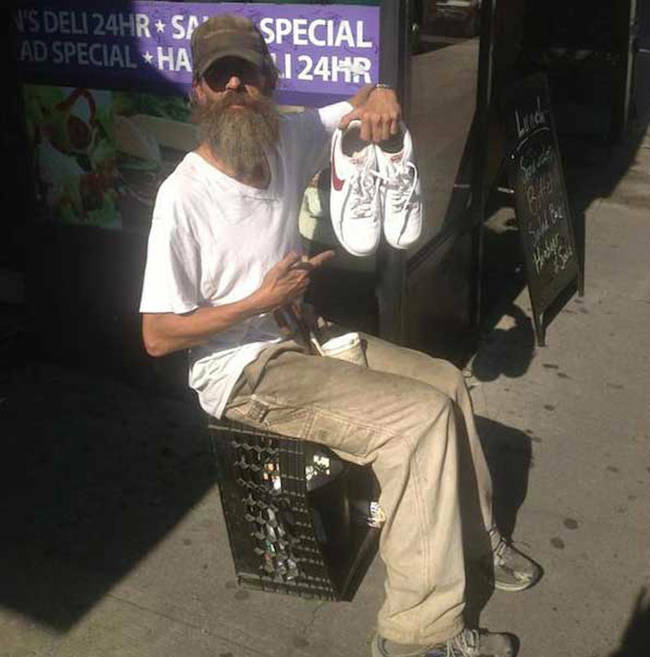 It’s difficult to walk even a block in New York City without coming across some poor soul that is plainly in desperate need. 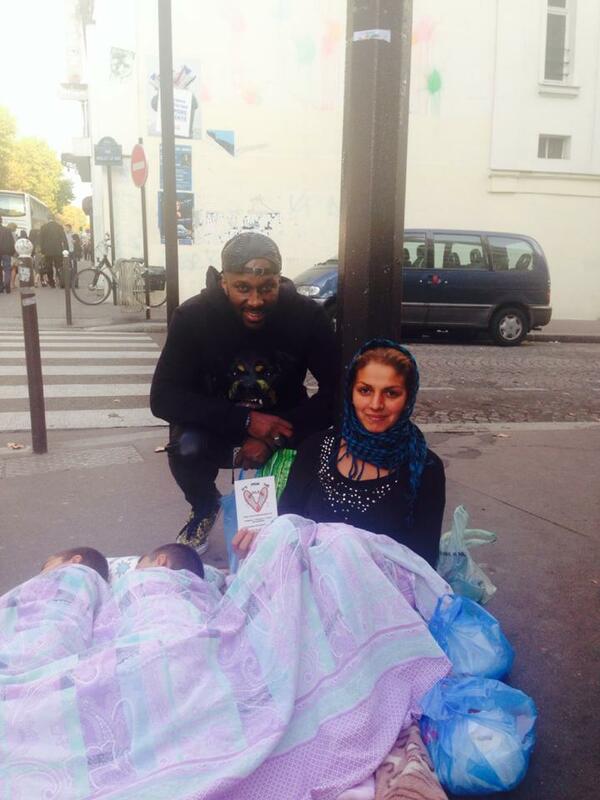 One inspiring man decided to make a difference with a simple and incredible act of kindness. During the day, Andre McDonnell works as a retail employee at trendy SoHo store Atrium. 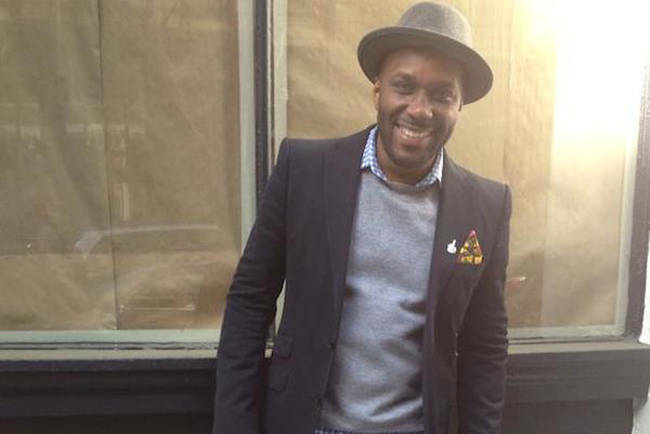 He sells clothing and accessories to paying customers looking for the most stylish options. 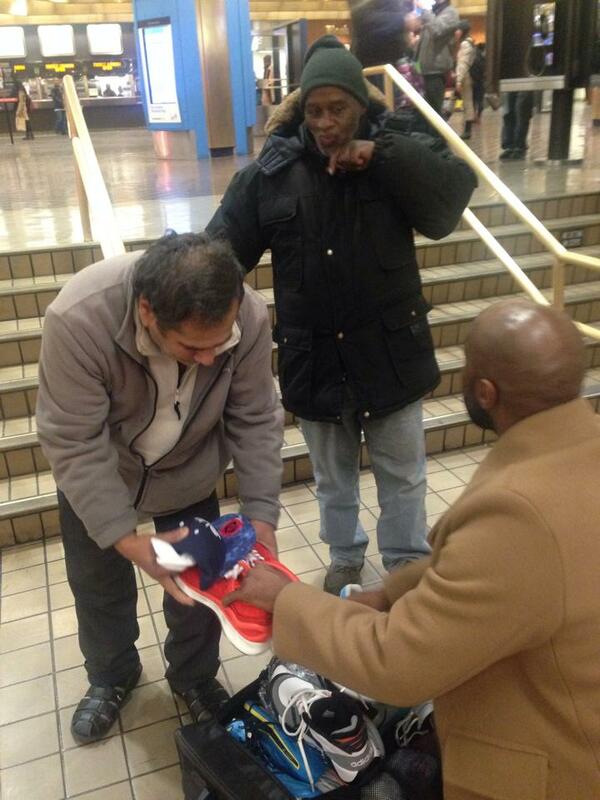 At night, he gives away donated shoes to those who would never dream of owning a new pair. 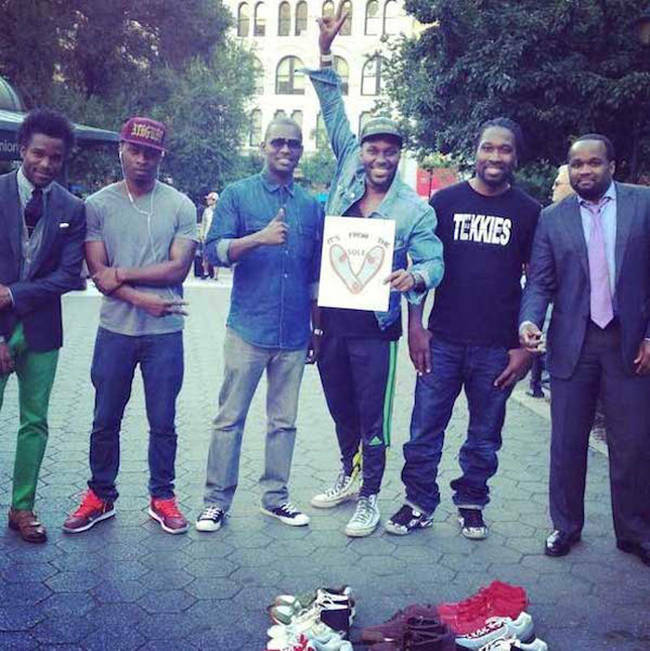 Andre was compelled to create the charitable movement, called It’s From the Soul. 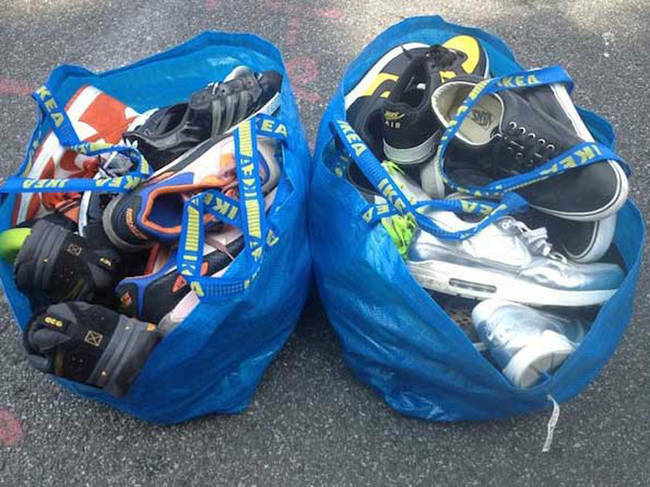 He treks every day from SoHo to Grand Central and Union Square to distribute the donated athletic shoes. His inspiration came after playing a game of basketball with friends a few years ago. 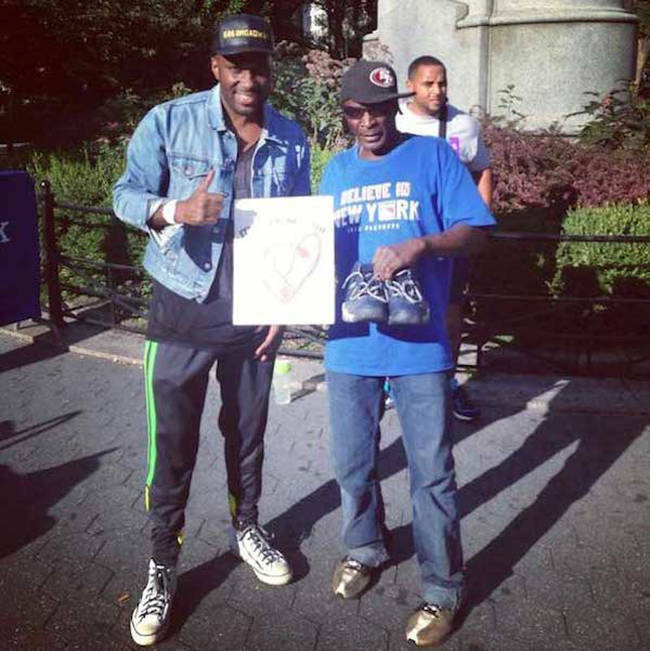 Andre saw a nearby homeless man without any shoes and was moved to give his own shoes to him. “As I walked away, I felt the gravel under my own feet, and it just hit me there has to be something more that I can do,” Andre explains. 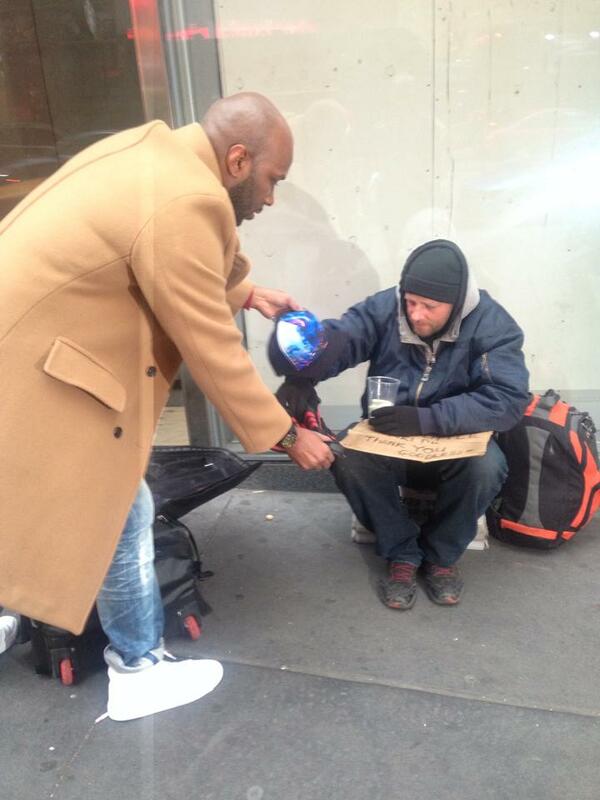 Now he receives tons of donations from equally charitable New Yorkers. 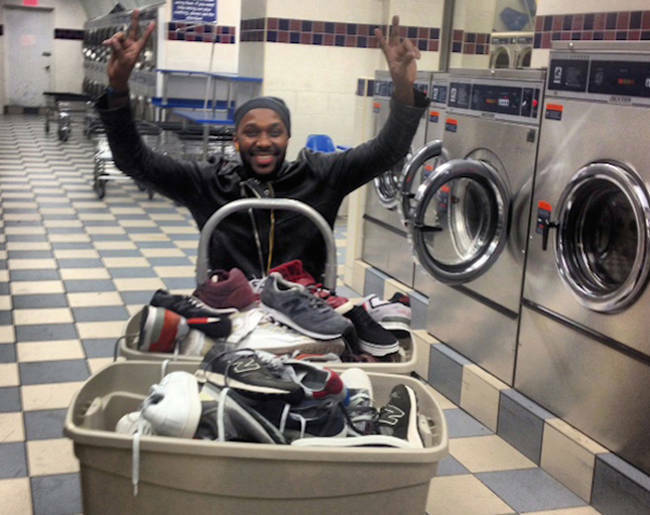 He even takes the time to wash each and every pair himself, spending around $50-60 a week at the laundromat. 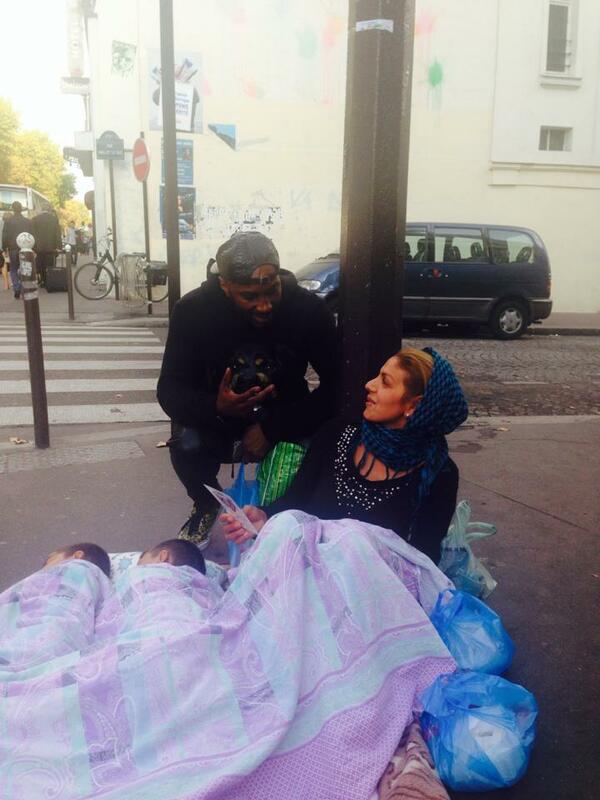 His only aim is to make those in need walk a little easier through their already rough lives. 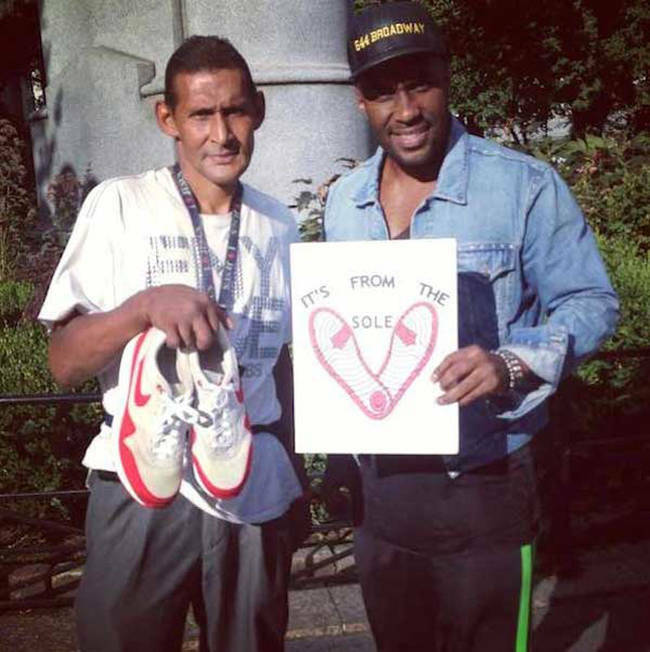 The incredible gesture makes a huge impact on the lives of those he helps. 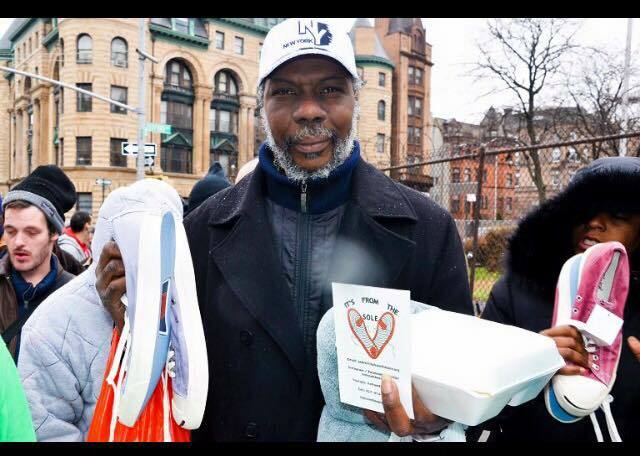 You can find more information on how you can help contribute shoes and donations to this amazing cause by checking out the movement’s website and Facebook. They can’t do this alone, so here’s how you can get involved. 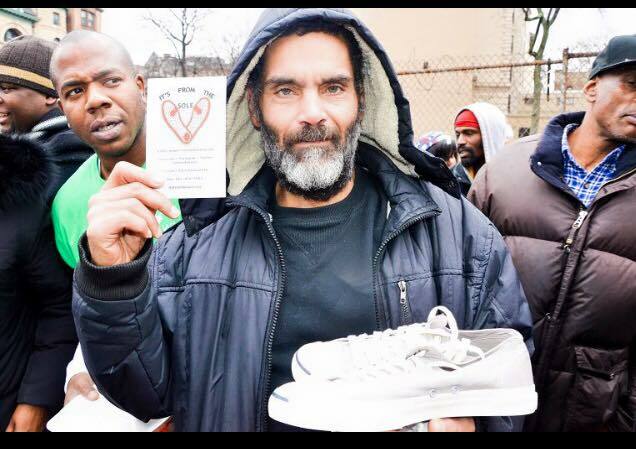 Providing this service to the less fortunate isn’t free, Any monetary donation really helps. Visit their website to donate. Whatever sad things might happen in the world, there are always these special souls that make a difference, bring light and hope! 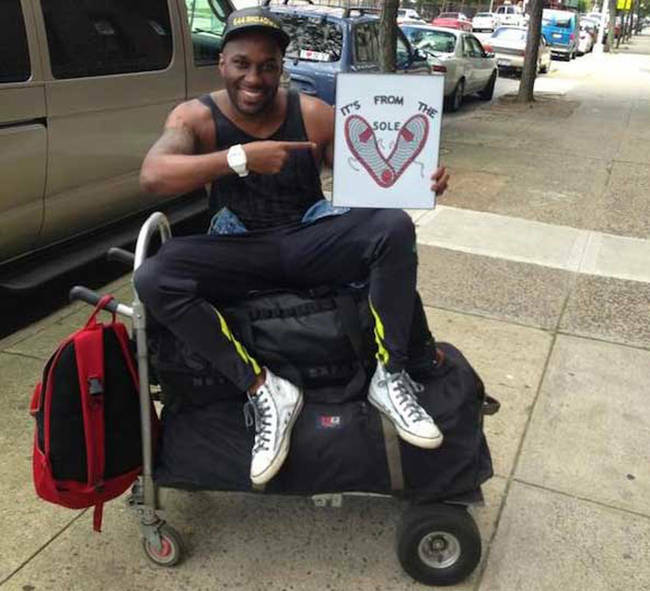 Thanks for sharing the story of someone who makes a difference. This is very cool and inventive. Love reading stories like this. We all can make a difference!